Beer job Be Two Birds' "Craft Beer Ambassador"
The ladies behind the Two Birds Brewing company have taken great strides since launching their Golden Ale soon after brewer Jayne Lewis left Mountain Goat. Their beers are available widely across Australia, they rock up to festivals here, there and everywhere and are great promoters of craft beer in Australia. But two people can only achieve so much, so now they’re seeking their first ever employee – a craft beer ambassador for Melbourne. Is working in the Craft Beer industry a must for your survival? If so, an exciting opportunity for a Craft Beer Enthusiast/Sales Extraordinaire awaits. Two Birds Brewing are seeking an energetic, self-Â­motivated and beer-Â­passionate ambassador, who will be responsible for representing their brand and building sales in Melbourne and the surrounding area. The position is for a goal orientated person and as the first official Two Birds employee, you will be an integral member of a small, dynamic team in a growing industry. With an established network of contacts in the industry, you will secure new business, while maintaining and building relationships with existing accounts. Targeting both on-Â­premise and off-Â­premise outlets, you will be responsible for revenue growth and increased market share. The role requires an individual who has a great work attitude, a natural sales ability and is ready to work in a small, dedicated team. This is a brand new role, so the successful person must have initiative and be capable of building the role and responsibilities in line with the Two Birds Brewing strategic plan, mission and values. The successful person will need to work independently and enjoy the challenge of being part of a developing business and have a goal to eventually lead a team of Two Birds representatives. As a Craft Beer Ambassador for Two Birds Brewing, you can expect a competitive starting salary as well as incentive based commission, monthly sales bonuses and endless opportunities to grow and join two passionate birds on a journey to achieve a dream. The role will be dynamic and yours to prosper. Remuneration is commensurate with experience, sell us your skills! 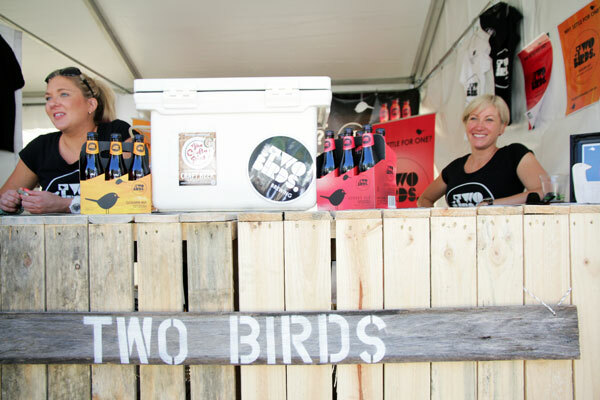 Email applications to info@twobirdsbrewing.com.au, including Craft Beer Ambassador (Melbourne) in the subject line. Applications close 2nd September 2013.